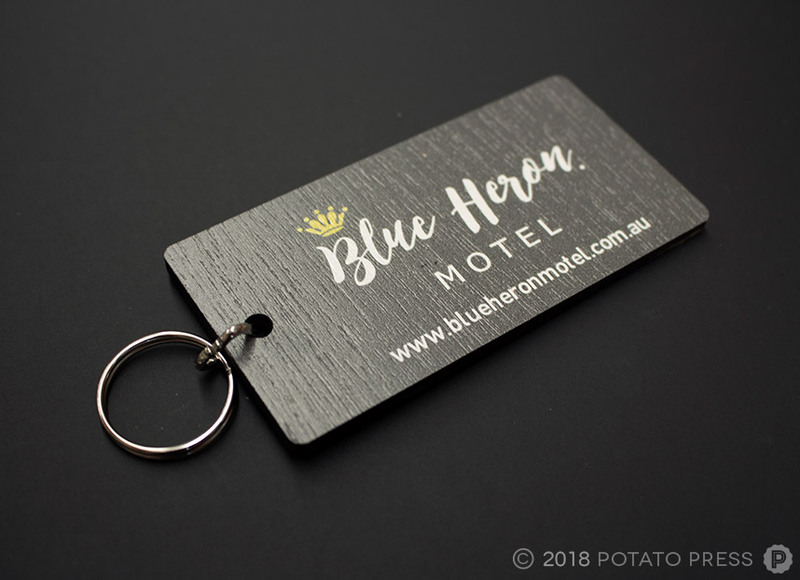 Located in Mermaid Beach on the Gold Coast, the Blue Heron Motel offers a great stay for all kinds of travellers being so central to the many tourist attractions the Gold Coast has to offer. 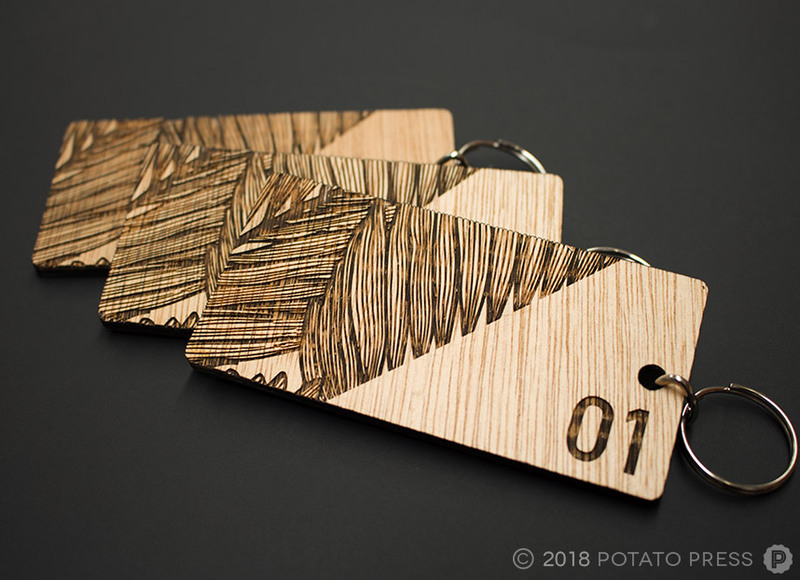 To give life to the newly renovated motel, the owners contacted us to create some key tags that had a bit more of a modern tropical feel then your average plastic room key. 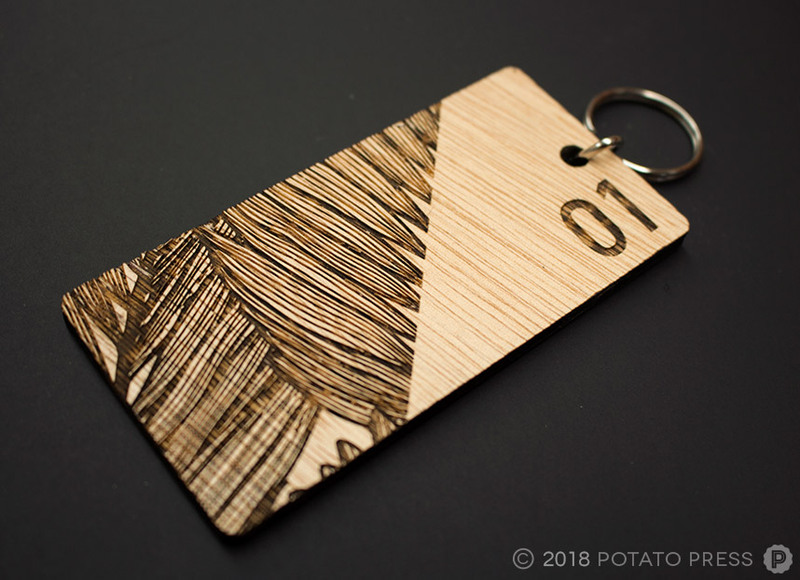 Using an Australian native timber we printed the logo and other information on one side then flipped them over to etch in the room numbers and palm leaf pattern. 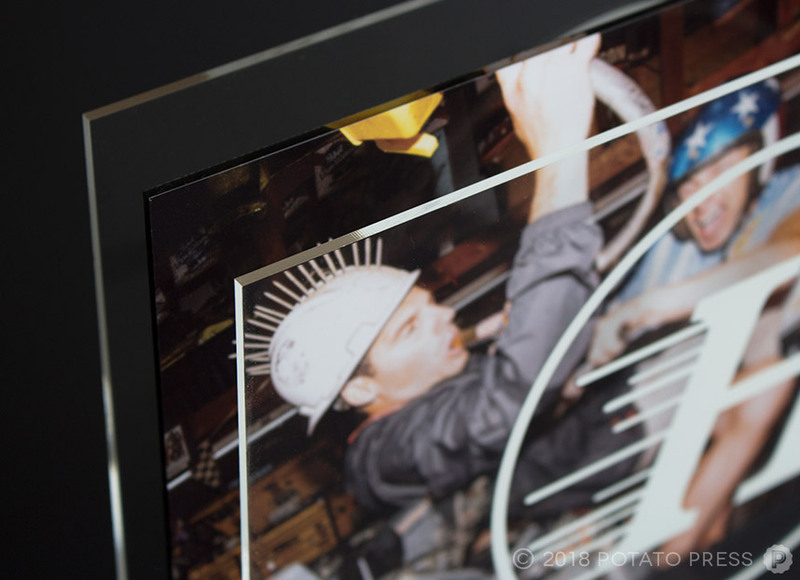 We love the simple but effective outcome of these, it will hopefully be something their guests will admire! 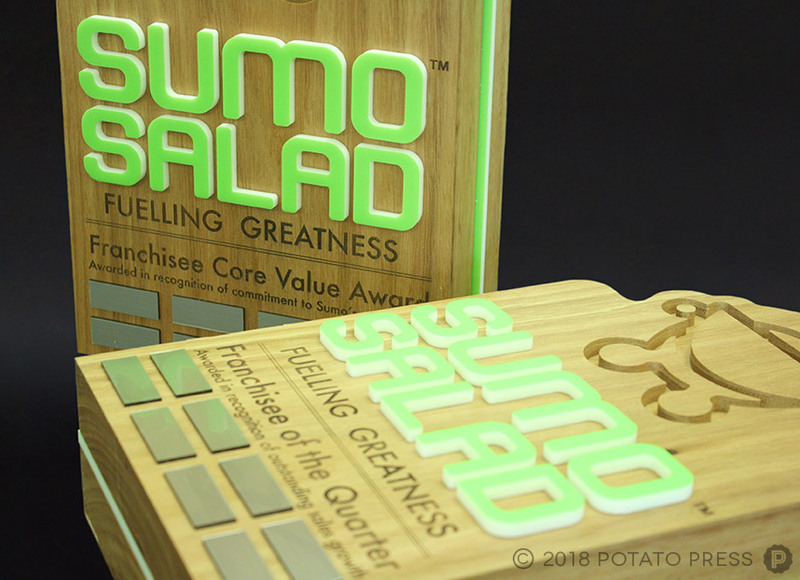 If you are looking at having some custom yet functional promotional products made for your local business, contact us today to see how we can help out! 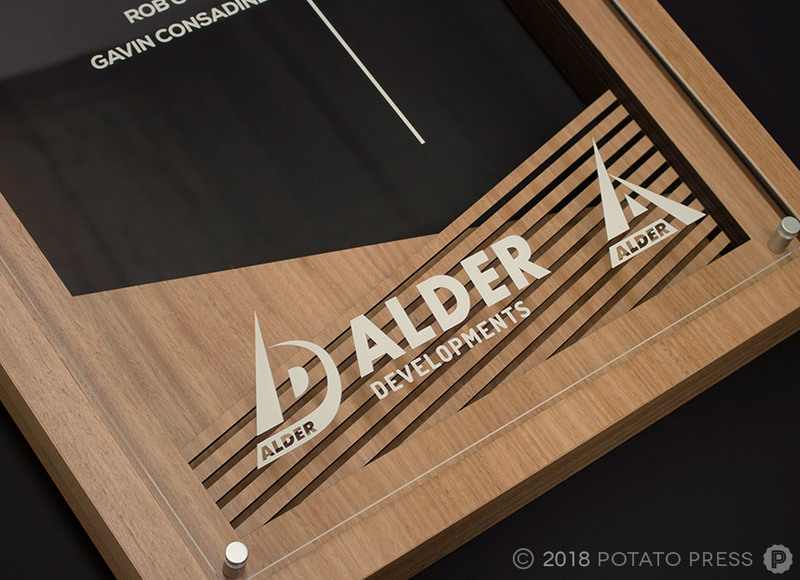 Alder Constructions is a construction company specialising in complex projects who have branched themselves into a wide range of disciplines including civil, building and infrastructure construction. 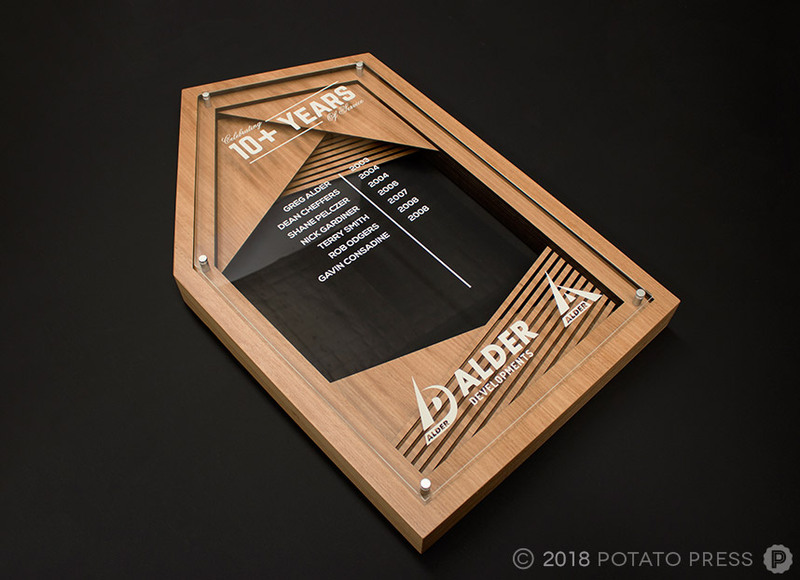 As a way to show their gratitude to their long-time employees, Alder contacted us with a request to create an honour board with the names of their employees who had dedicated 10+ years of service to the company. 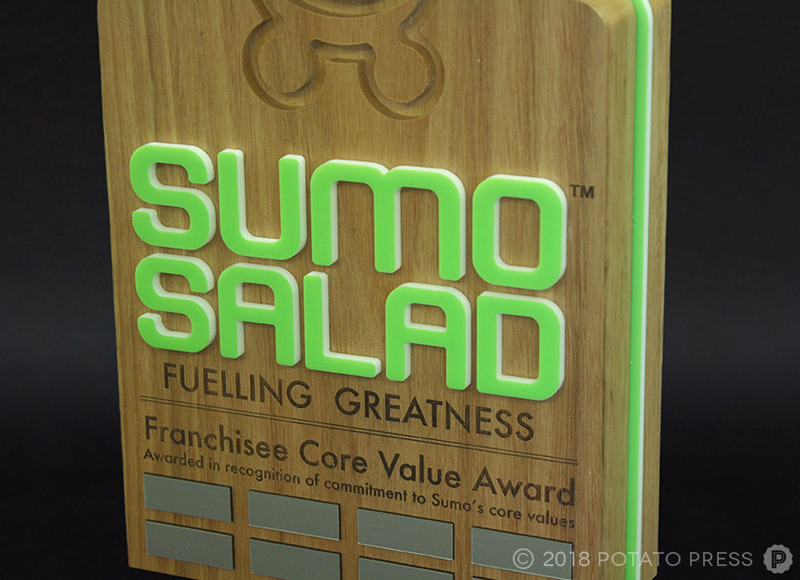 This plaque uses a combination of acrylic and custom joinery features, as well as the removable and updatable panel displaying the employees names. 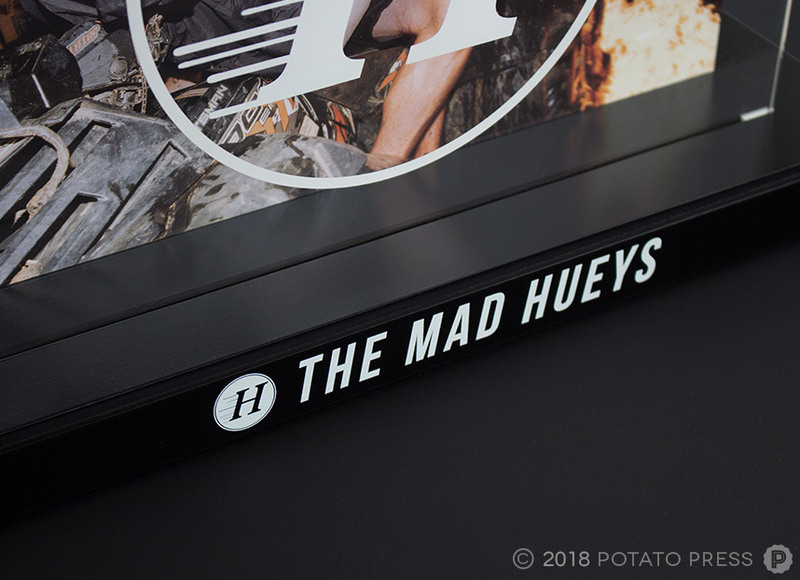 It was important in this piece to create a plate that could be removed and updated as it needed to be accessible for future names to be added as well as easy for the client to re-install the plate. 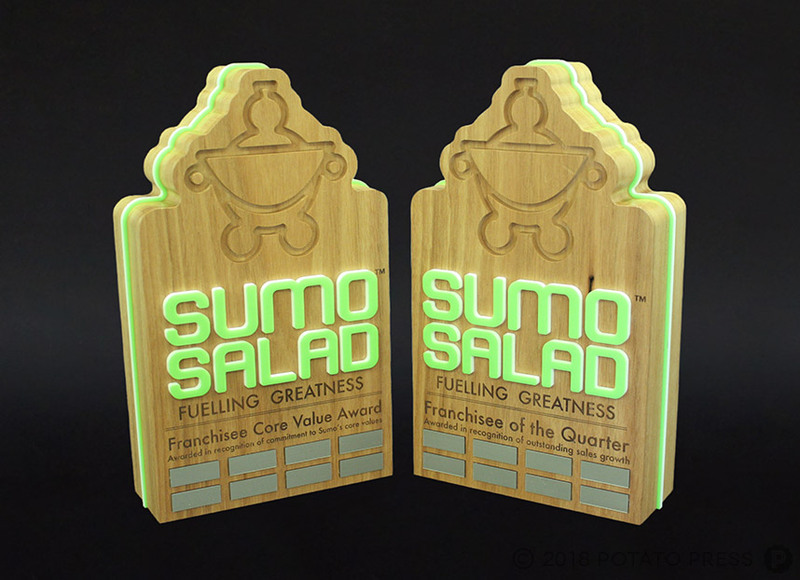 Have some long-time employees who deserve recognition? 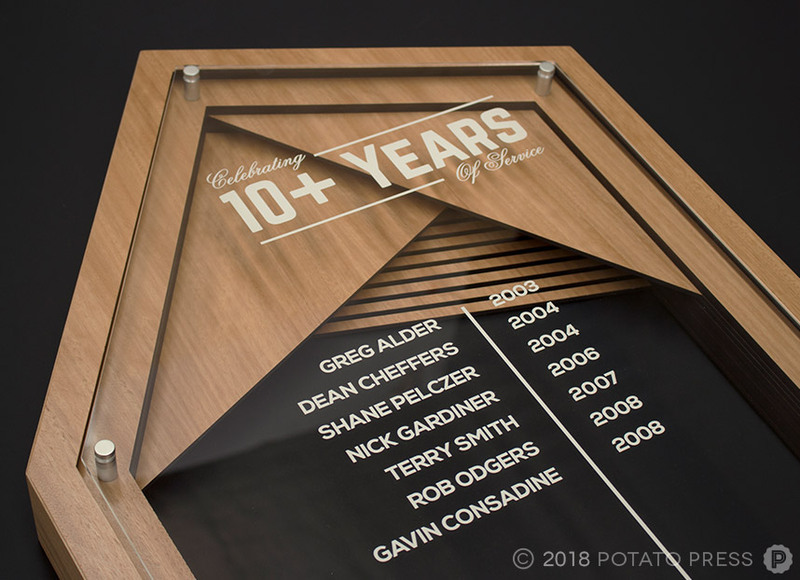 Contact us today to see how we can make a custom honour board for your company. 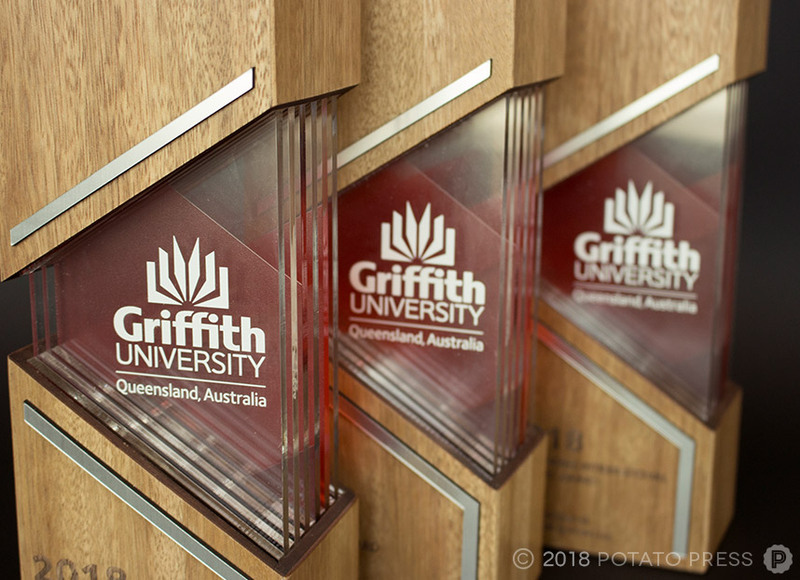 With six campuses spanning from Brisbane to the Gold Coast, Griffith University has been running for 40+ years strong and is ranked in the top 2% of universities worldwide. 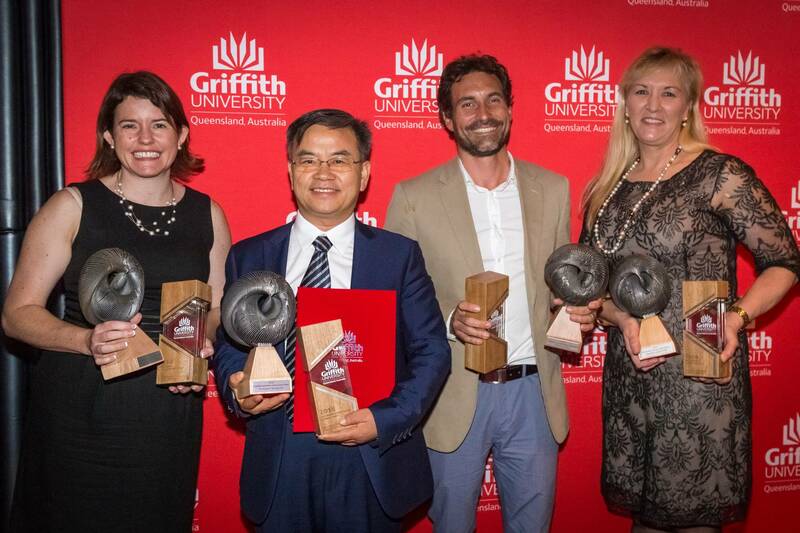 Griffith’s aim throughout a students’ study is to “provide them with an excellent education and the capacity to develop and apply knowledge to exercise influence and make meaningful life-long contributions to their communities”. 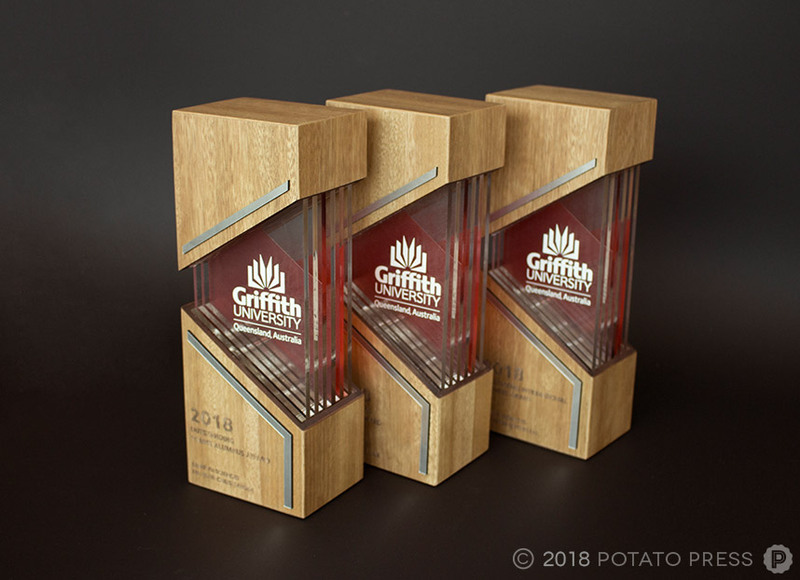 For their upcoming Outstanding Alumni Awards 2018 to recognise and congratulate their graduates who have made a remarkable impact in their fields, Griffith approached us to create some custom awards for their winners. 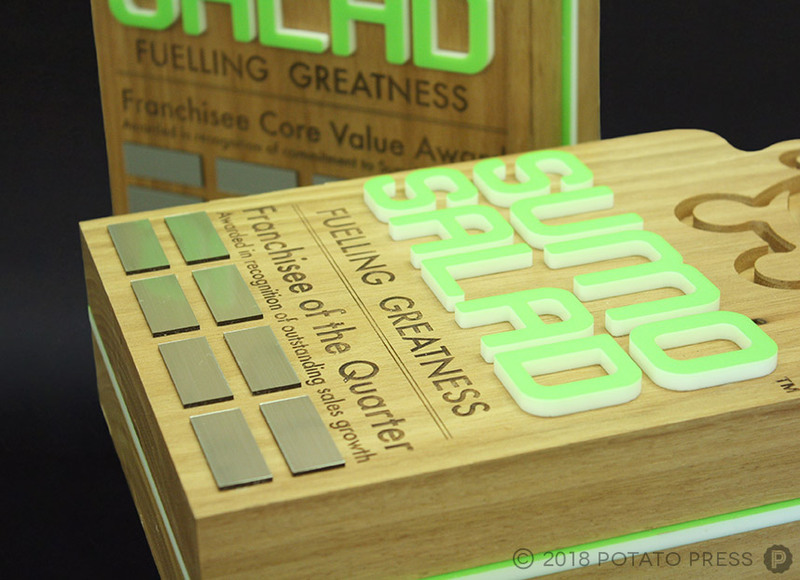 Using timber veneered pieces for the top and bottom of the awards, layered of printed acrylic were created for the middle section and the timber was then finished off with laser etching and silver details. 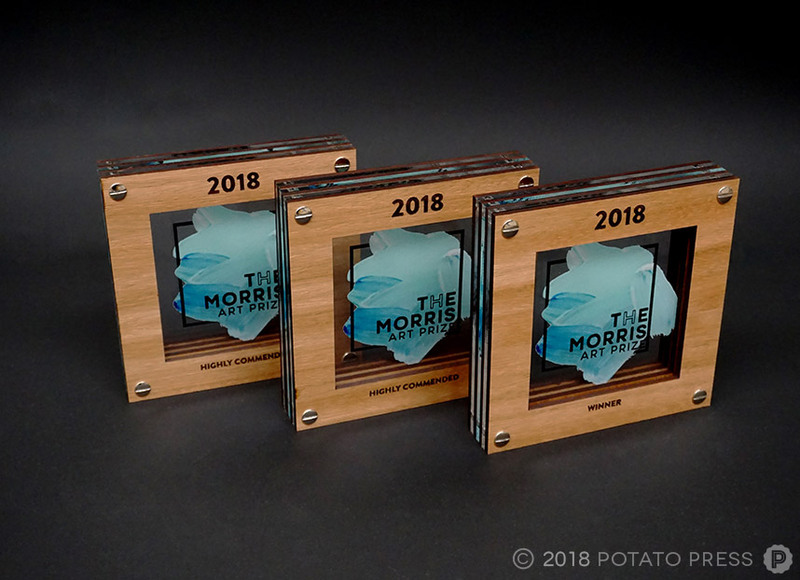 If you have an upcoming award ceremony and would love to have some custom awards made for your winners, contact us today to see how we can make something special for you! 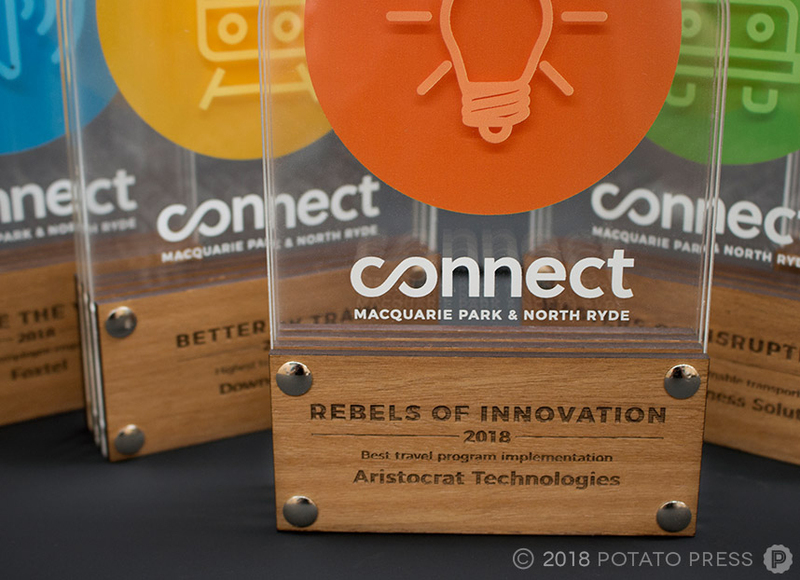 Connect Macquarie Park & North Ryde is a not-for-profit organisation managed by representatives from the City of Ryde, Transport for NSW and Connect members. 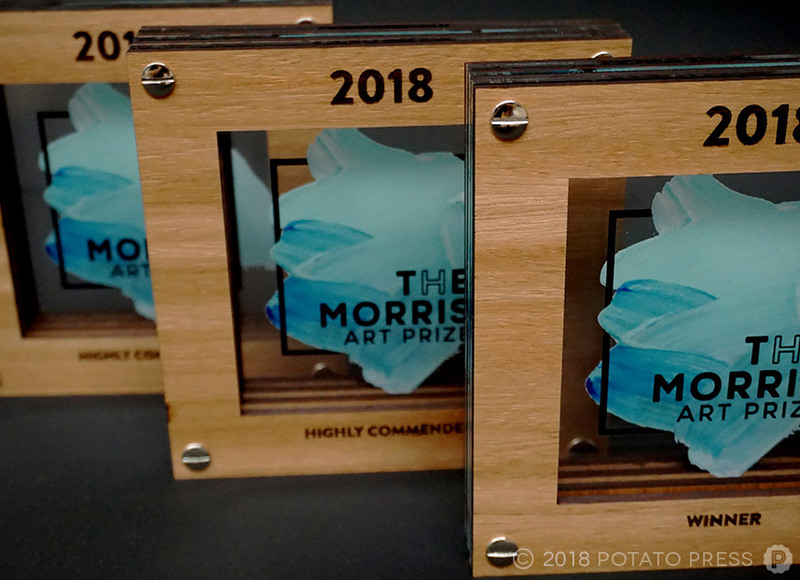 They oversee the implementation of objectives to create efficient transport within Macquarie Park and North Ryde in a sustainable way. 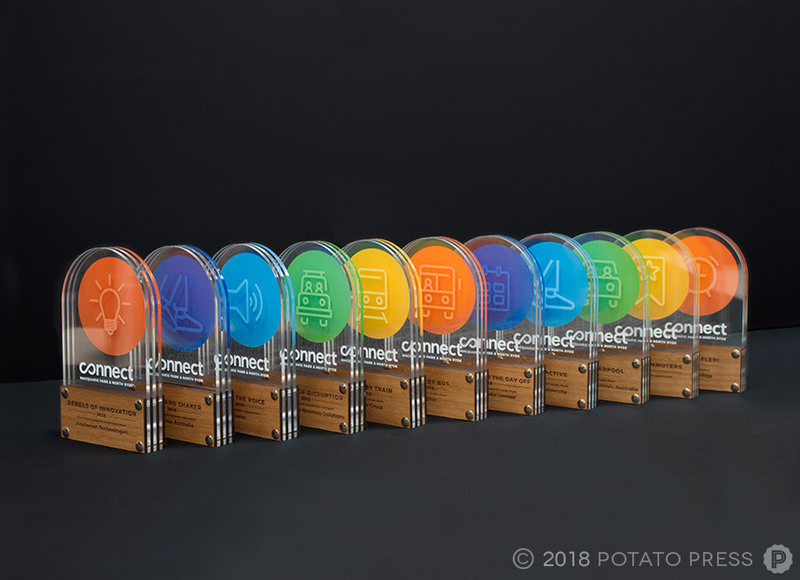 Connect recently approached us to create some awards for an upcoming event to commend businesses that have excelled in the areas of transportation. Choosing to run with our signature layered style trophy with acrylic and timber pieces, the acrylic was printed with different elements to create a 3D effect and also incorporated their colours and symbols for each category. 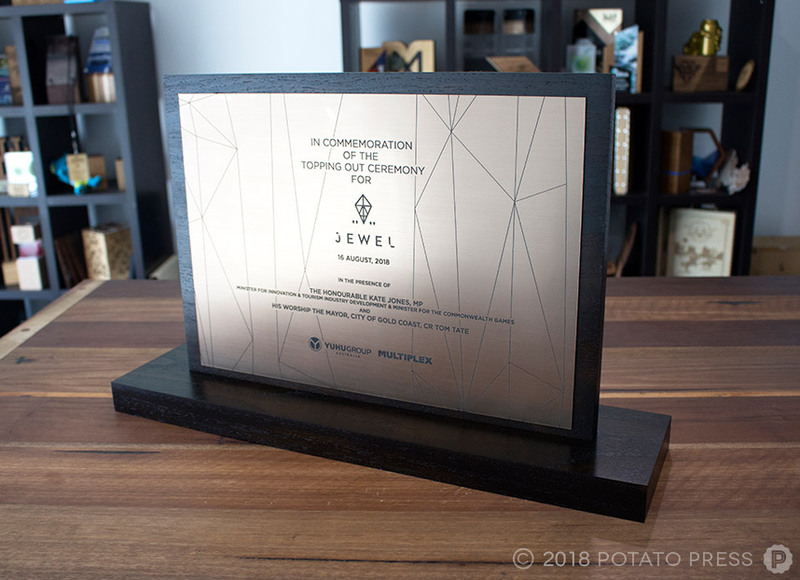 The awards were then finished off with a timber plaque and laser etched details. 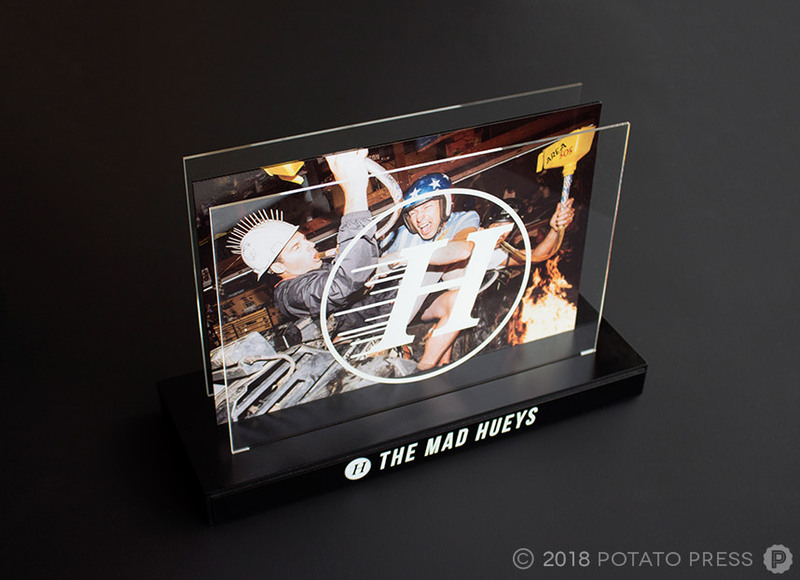 Love our style and would like to have a custom creation made for your upcoming awards? 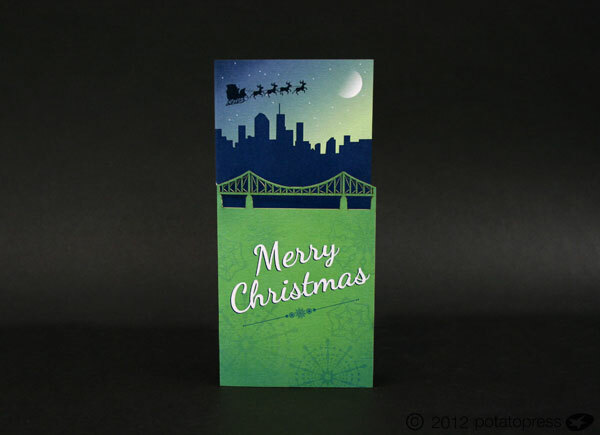 Contact us today to see how we can help! 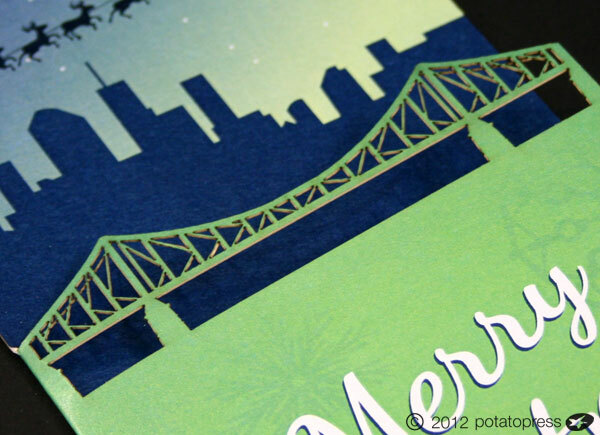 Well it is that time of year again and what better way to celebrate than producing some laser cut Christmas cards. 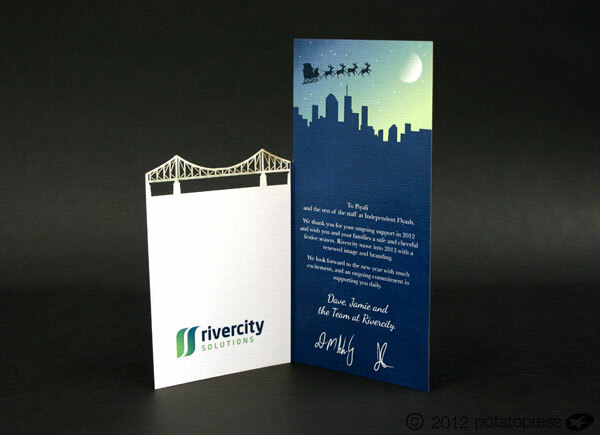 This is a previous job we did for River City Solutions in Brisbane. 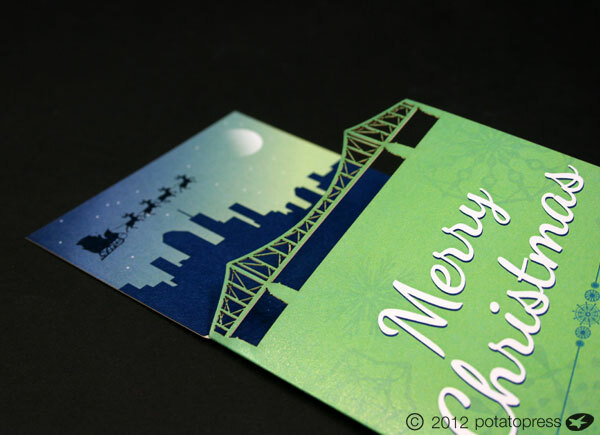 We designed, Printed and Laser cut these custom cards for them to send out to their clients. 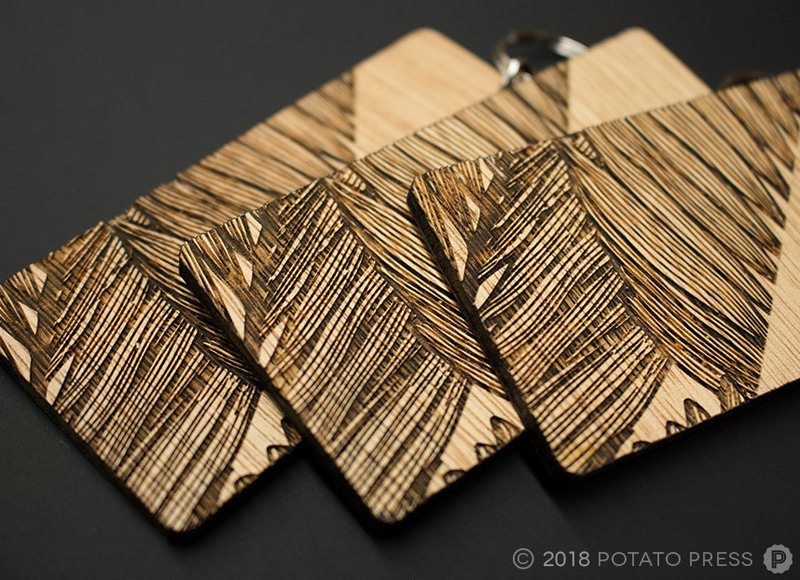 The layering turned out great and the intricate detail that we can get from our laser is always amazing. 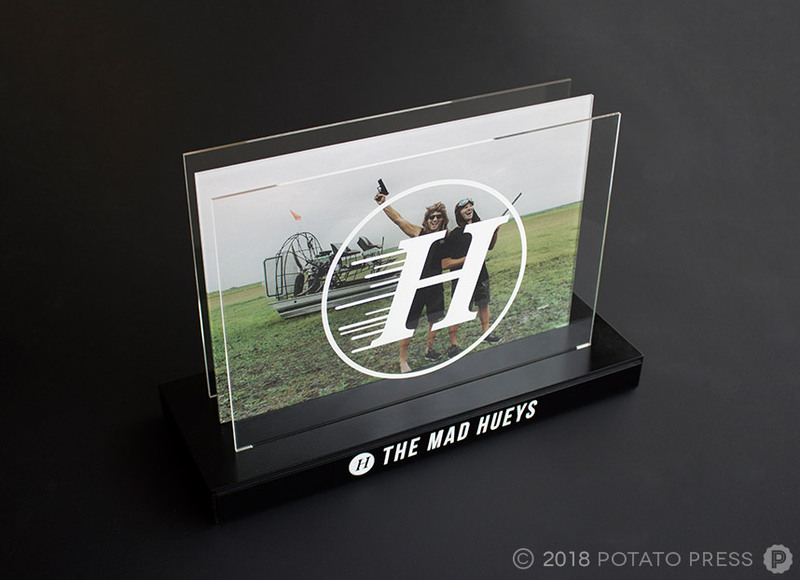 The guys were stoked with the final product and so were we! 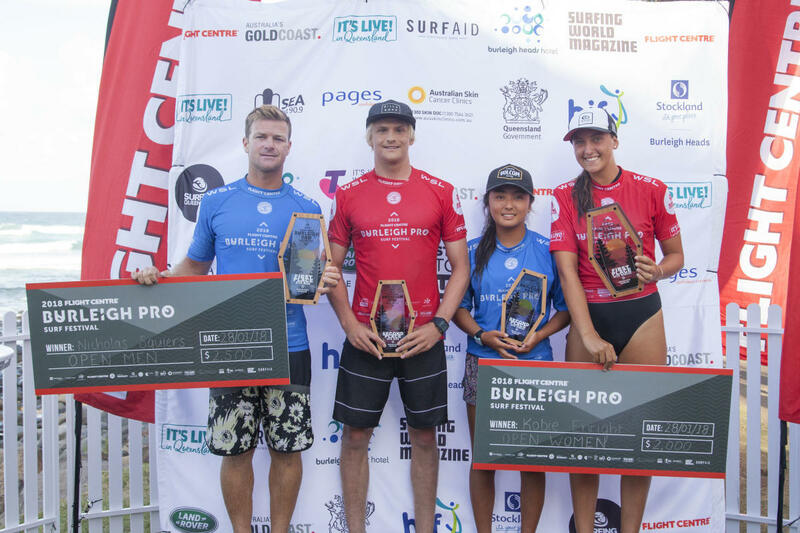 Over a period of 4 days, some of the worlds best surfers complete against local talent at Burleigh Heads on the Gold Coast. 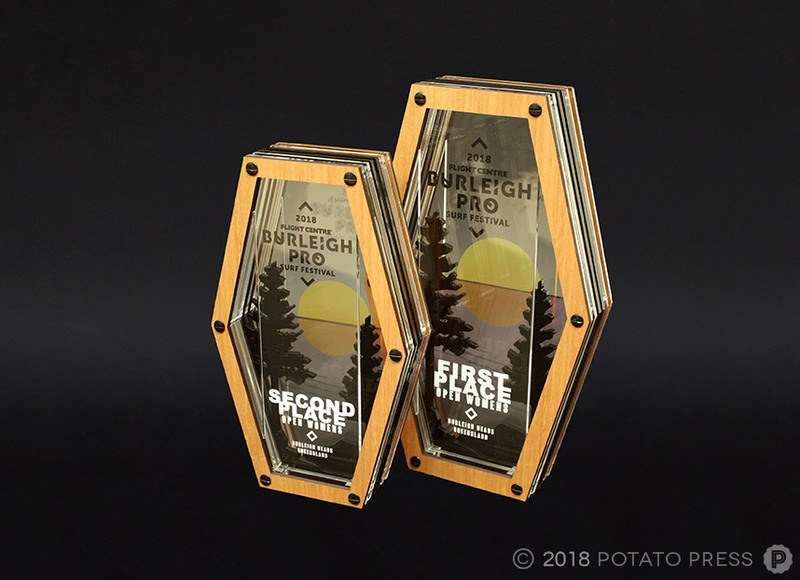 For the 2018 Burleigh Pro surf event we worked with the team at Surfing Queensland again to create some more unique trophies that embody the Burleigh headland vibe. 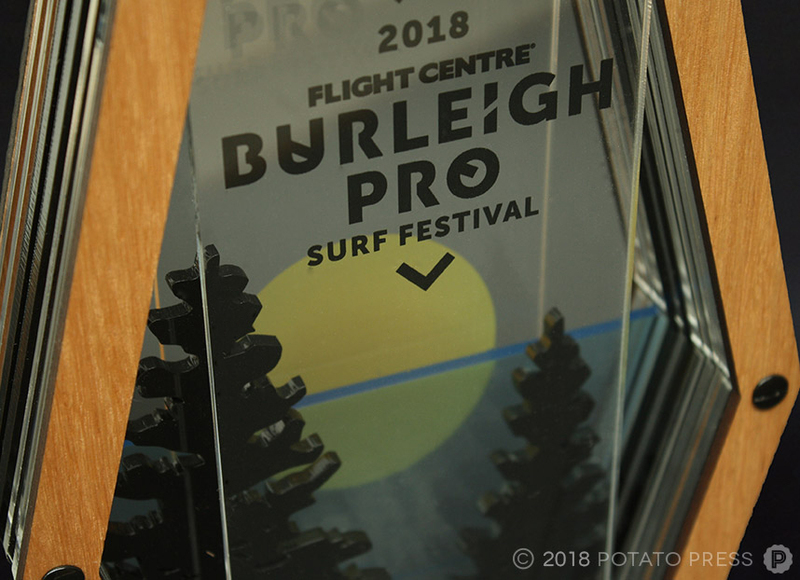 The Burleigh headland is famous for its Norfolk pines and great views of the surf from up on the hill so it wasn’t even a question that these elements were to be included in the awards. 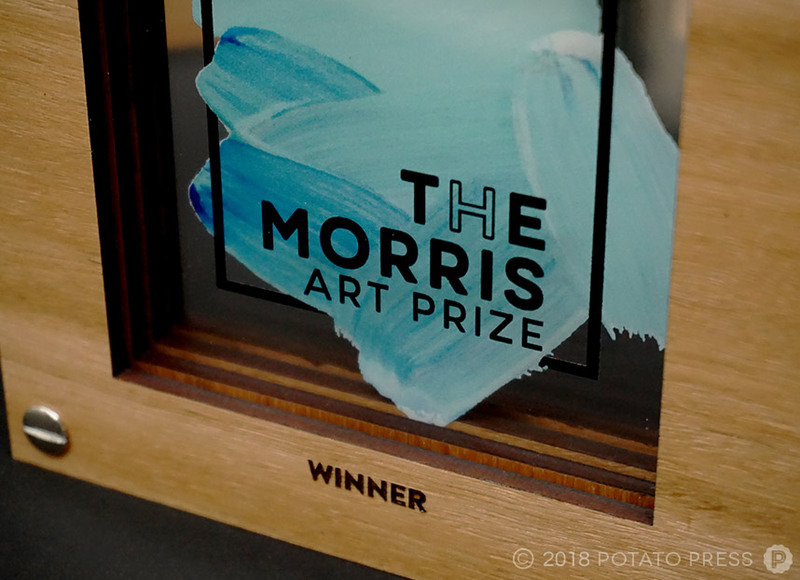 With a combination of timber that grows native to south-east Queensland and laser cut acrylic, the pieces were layered on top of each other and designed in a way where the award portrayed a 3D landscape. 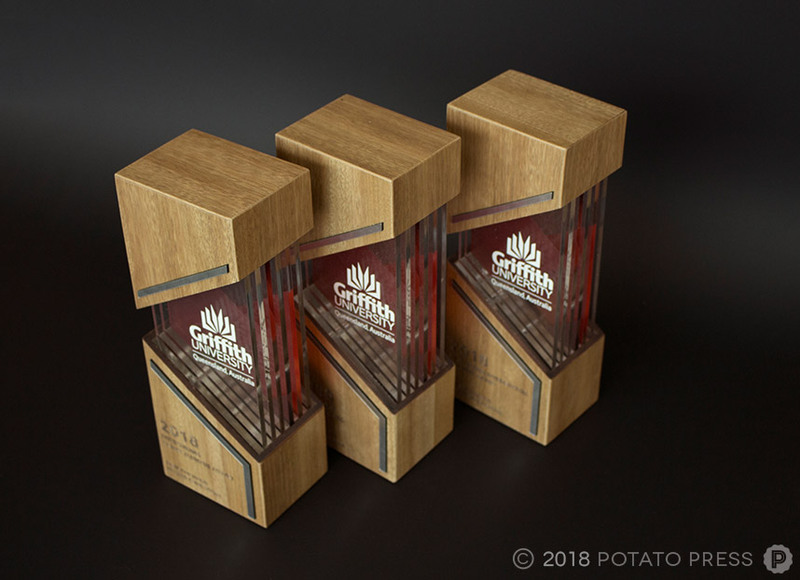 We were stoked with how these awards polished up and we look forward to working with Surfing QLD in the future. 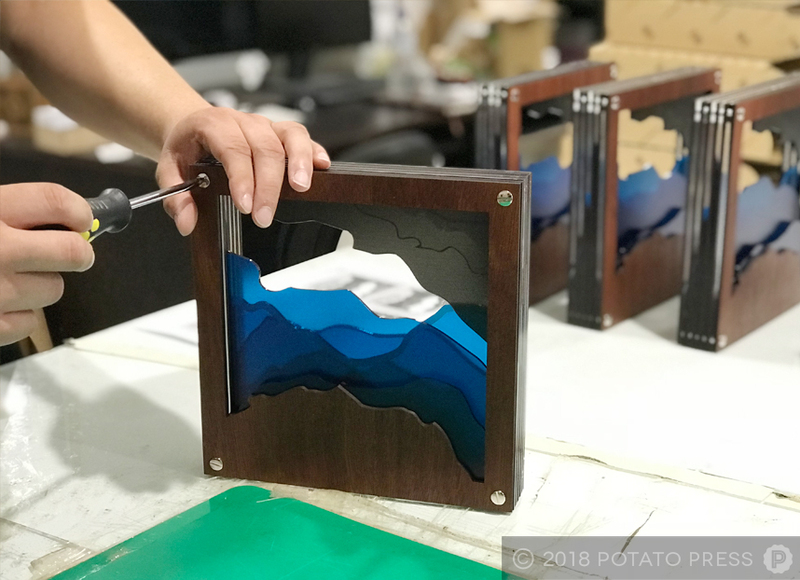 If you have a special event coming up and would like your recipients to receive a memorable piece of art, contact us today to see how we can make something truly unique for your company! 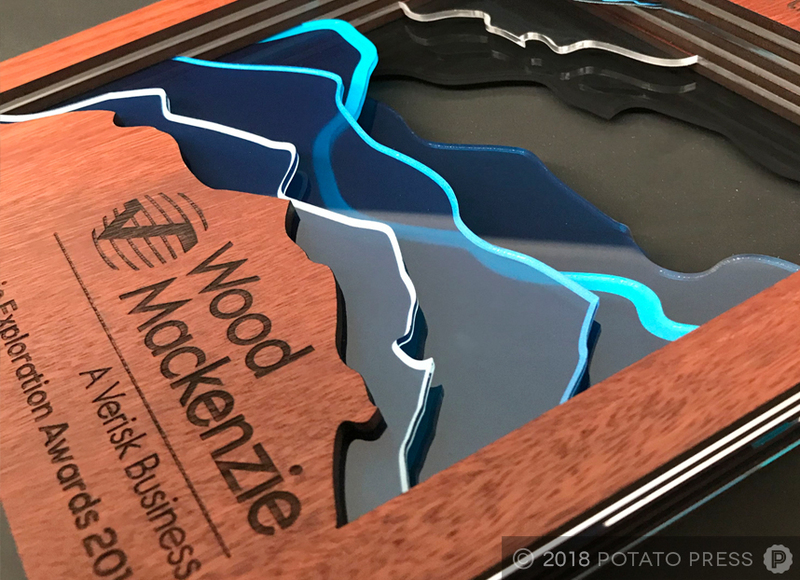 Wood Mackenzie is a leading management consultancy firm who also supply research and widespread data on global energy, chemicals, metals and mining to the world. 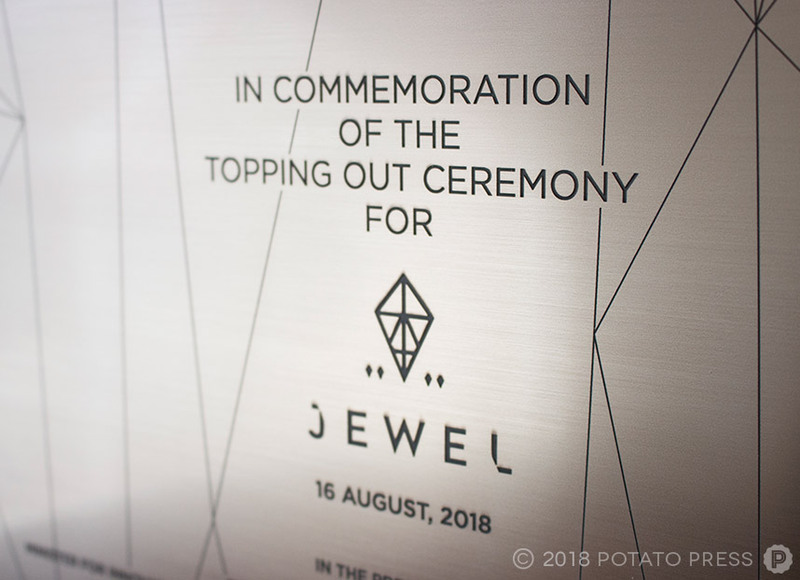 Their headquarters are based in the UK but have offices in major cities all over the globe and serve over 2,000 clients spanning over their different sectors. 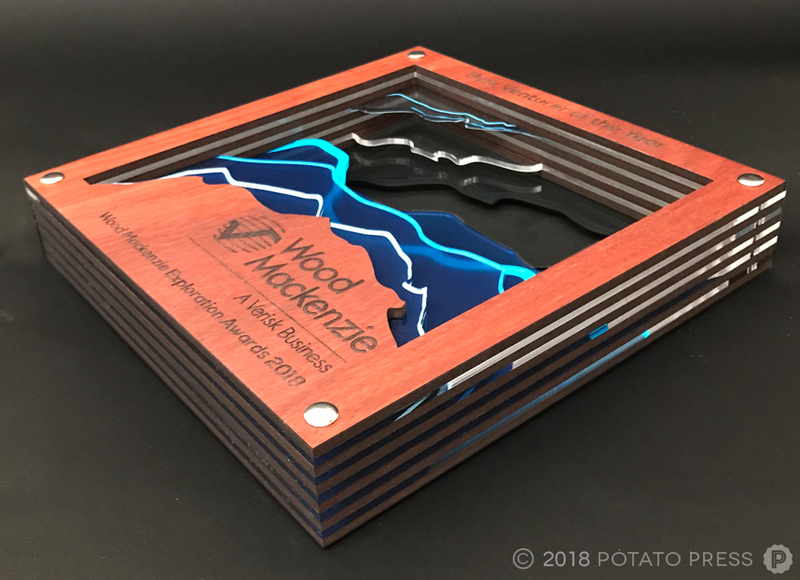 For Wood Mackenzie’s upcoming annual Exploration Awards 2018, we were asked to create 6 trophies with a bit of twist on our signature acrylic and timber layered style by incorporating the brands colours and a topographic effect with the printing and cutting. 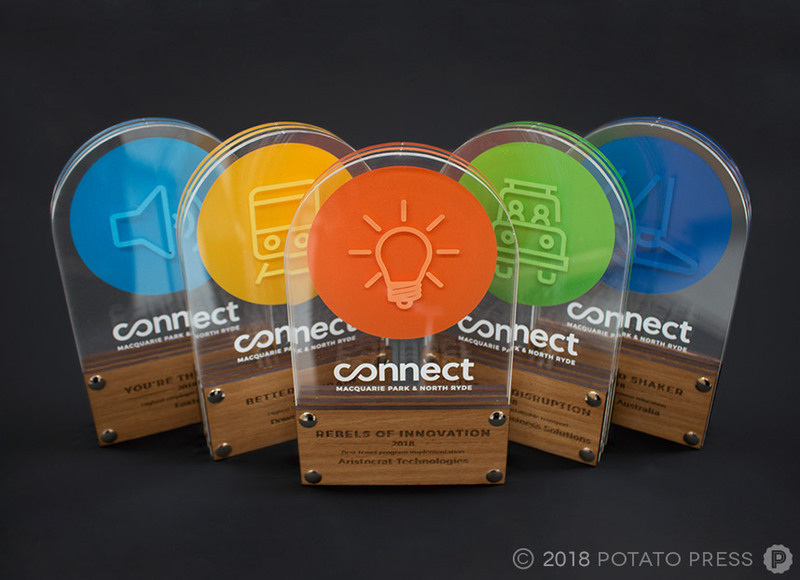 If you have a unique trophy idea for your event but now quite sure how it can be created, contact us today and see how we can help! 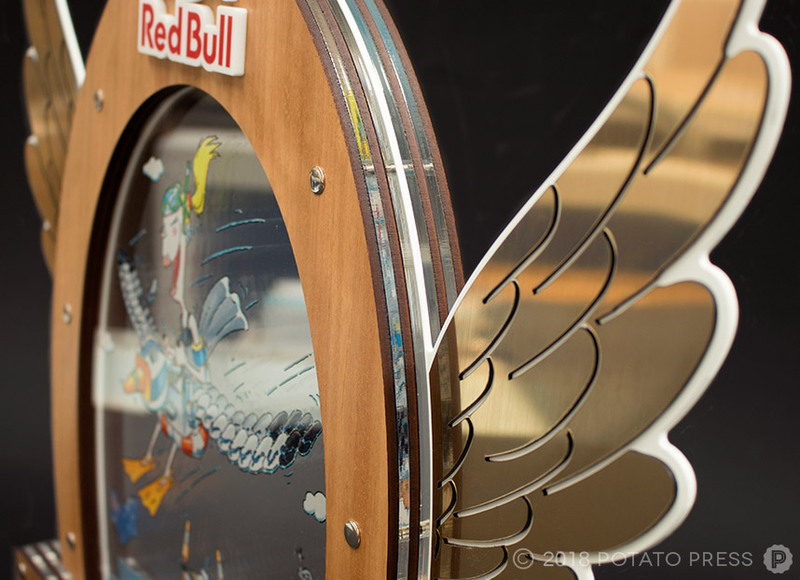 Every year, Red Bull hosts and sponsors world-class athletes and events all over the world. 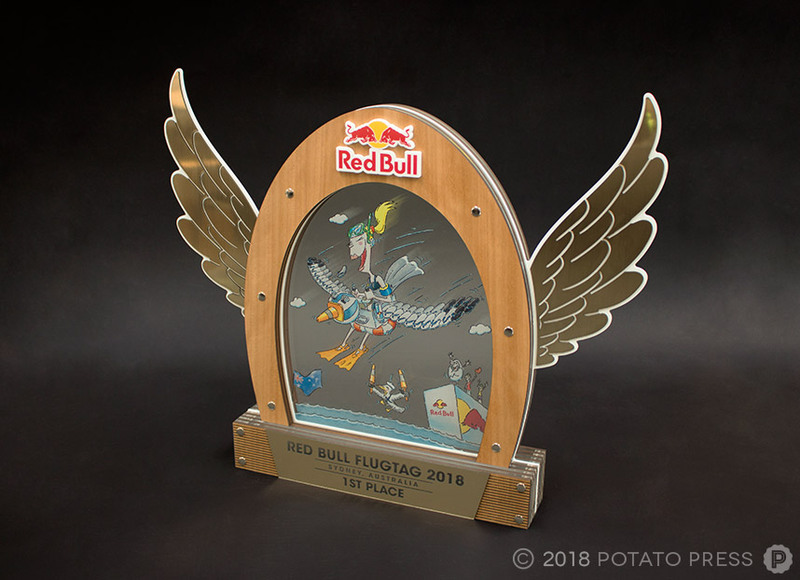 On the 10th of November in Sydney, Australia, Red Bull challenged people to design, build and then pilot their own creations off a 6 meter high flight deck in the event they call Flugtag (‘flying day’ in German). 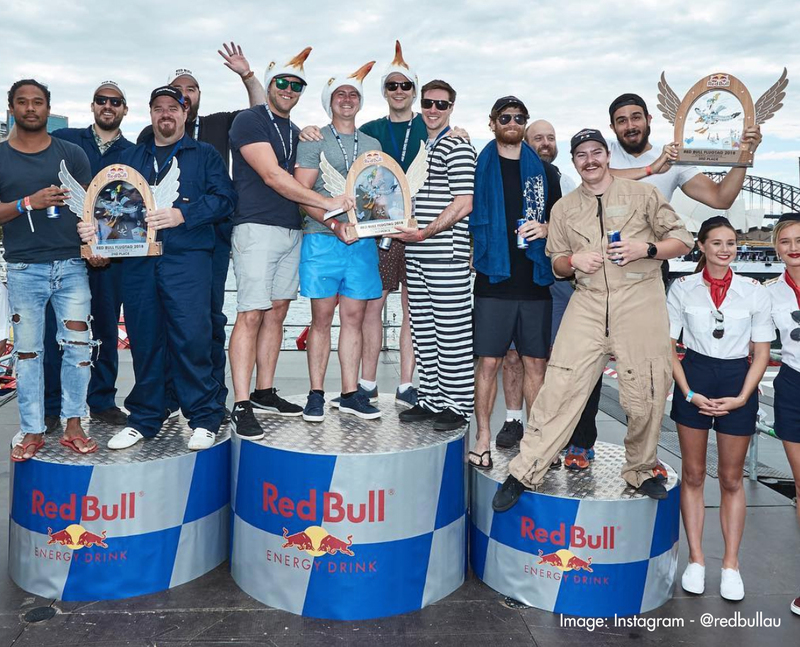 We were approached by the guys at Havas Sports & Entertainment Australia to complete this job for the team at Red Bull and were challenged to create something inspired by the companies’ signature style. 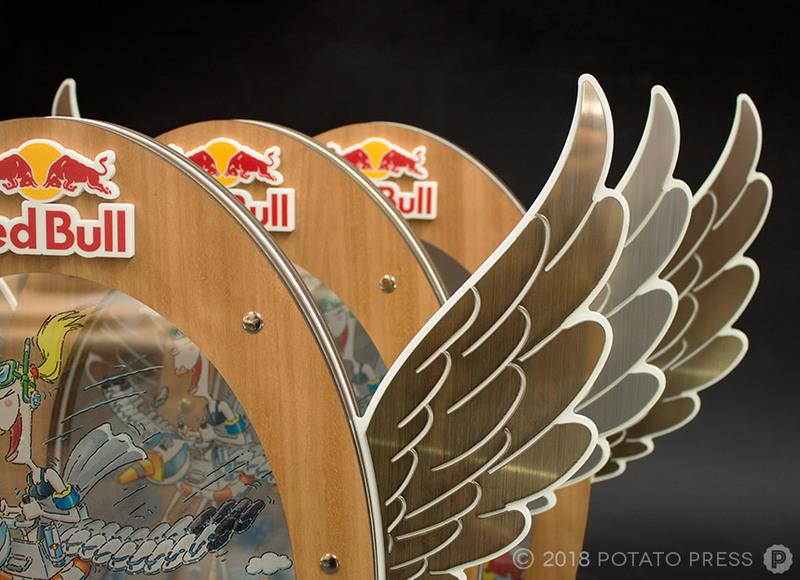 The quintessential red bull wings were a must for this design, we also featured the cartoon style drawings that are also sported across Red Bull’s marketing campaigns. 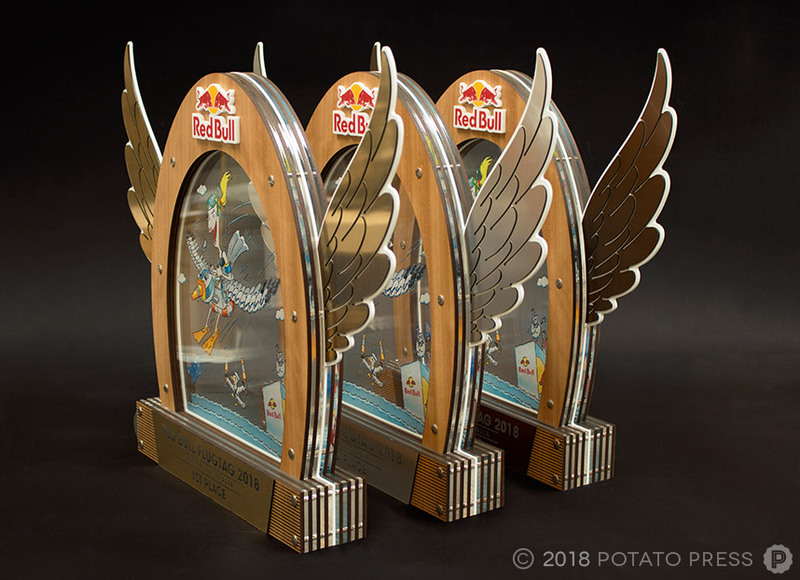 Combining timber, acrylic and solid aluminium powder coated pieces we created this set of awards to embody the larger than life event that Red Bull has curated. 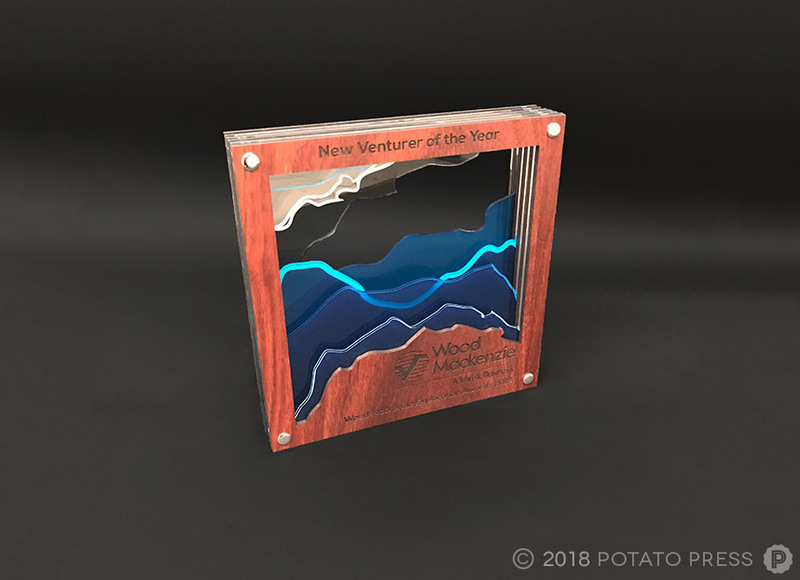 We added accents of Gold, Silver and Bronze as a point of difference across the three awards, which captures your attention at the large scale the awards are produced at. 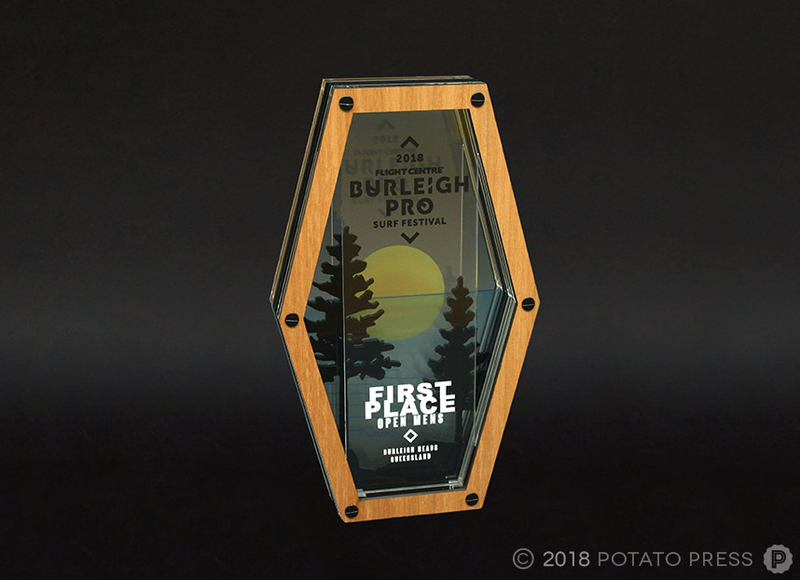 If your company has a special event coming up, we would be more than happy to help you out with designing some custom made trophies that embody your company’s values, so contact us today! 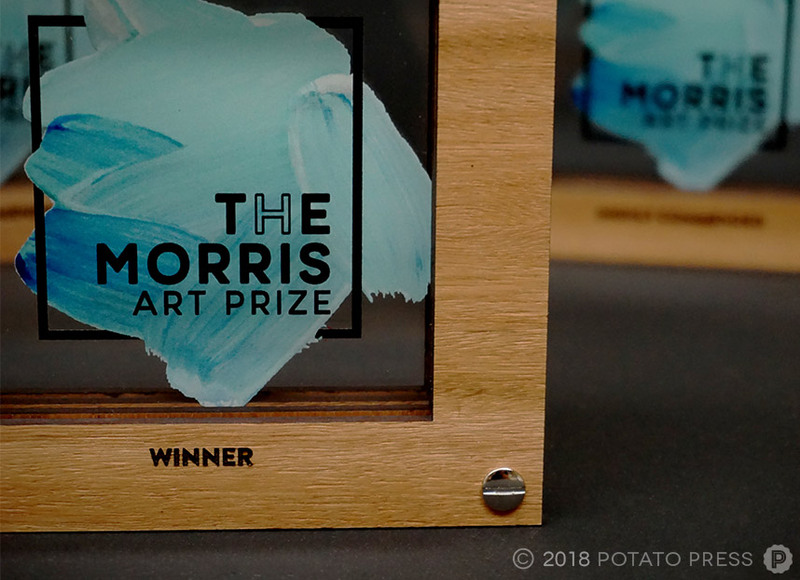 Situated in the Events Arena at Carrara Markets, The Morris Art Prize is an art space where well-known and emerging Australian artists come to together to display their masterpieces. 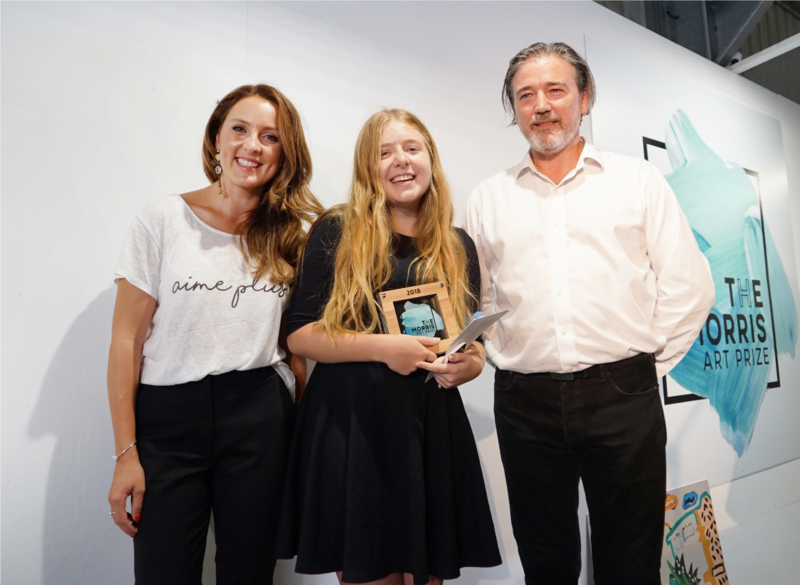 The aim of the event is to promote and support these artists, as well as celebrating the region with this years’ theme focusing on ‘Brisbane to Byron’. 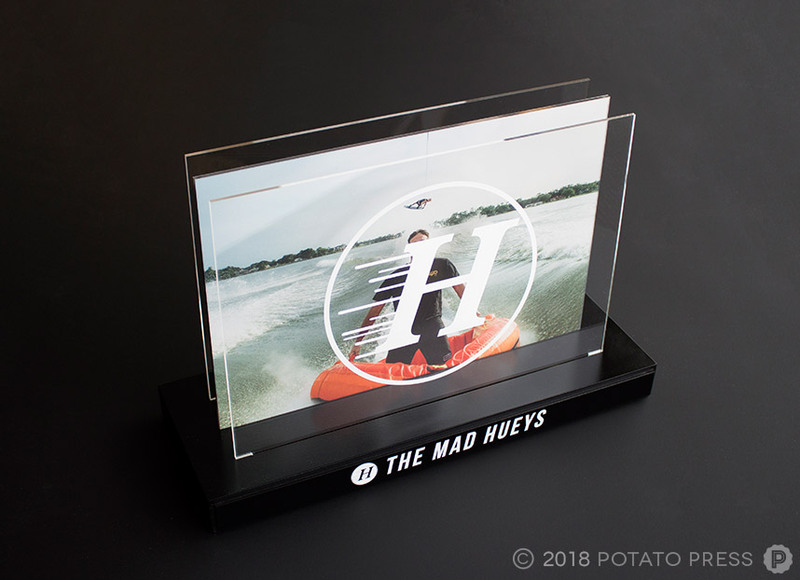 Wanting some custom awards created for your event? 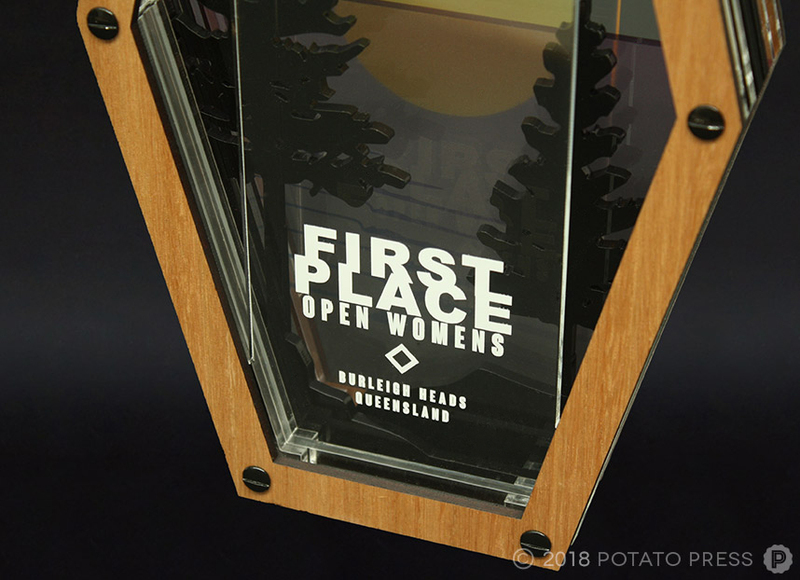 Contact us today and to chat about how we can help out!